Omni’s production facility houses over 75 metal stamping presses and the necessary support equipment. 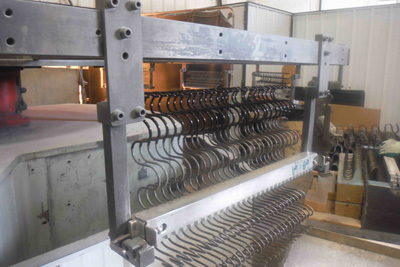 Our presses range in size from 50 tons to 1400 tons. We have numerous robotic weld cells, each capable of handling multiple weld operations in a production environment. At Omni, you'll find in-house powder coating lines– ensuring proper adhesion and superior corrosion resistance. At Omni, you will find in-house nylon and PVC lines – ensuring proper adhesion and superior corrosion resistance. Our experienced tool makers have the expertise you need for your next project. Call us today to find out how we can help take your idea to reality.